Fr. 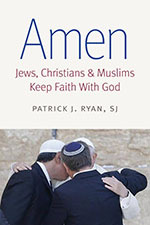 Ryan’s goal as the McGinley Professor of Religion and Society is to foster an understanding of the common ground among Christianity, Judaism, and Islam. His ultimate aim is to establish a trialogue among these three faith traditions. 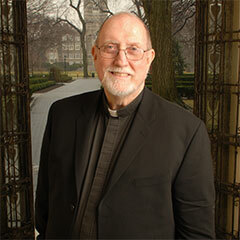 Fordham President Rev. Joseph McShane, SJ called Fr. Ryan’s appointment as the McGinley Professor, "a new phase in the history of the McGinley Chair." Watch Father Ryan's interviews Jesuit priests at Fordham, including visiting scholars, and young Jesuits-in-training (scholastics).